For new advertisers entering online advertising, choosing the right program to gain the best results can be quite a challenging task. For example, there is pay per click advertising, banner advertising, in-text advertising, affiliate advertising and many more programs on offer to use. However, for this article, I will be looking at the two main forms of online advertising: PPC and banner advertising. Which should you use? From my personal experience, I believe you should be using PPC. Even though there are some PPC programs such as Ad Dynamo which do not deliver as good results as others such as AdWords does, PPC in general is a formidable force when compared to the likes of banner advertising and BuySellAds. Here’s why. 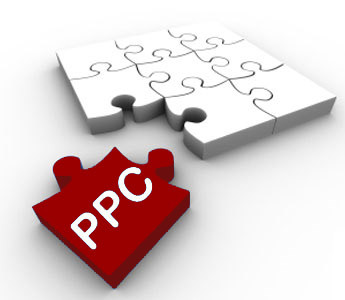 A major advantage with pay per click advertising is the fact that PPC has inbuilt contextuality. As an advertiser, you put the keywords you want your campaign to be associated with and the PPC program links the most relevant sites with your campaign so that only the most relevant web users will see and click onto your advert. Compare this to banner advertising, it can be seen that you are what makes banner advertising contextual. For example, to buy an advertising unit in BuySellAds, you have to manually look at their marketplace of publisher websites and choose for yourself what website you want to advertise on. For some advertisers, they will choose right and gain relevant traffic to their landing page. However, for other advertisers, there is a chance that they will choose the wrong website which means they will gain a poor conversion rate and ultimately will be spending their money inefficiently. A great element to PPC, again, is that advertisers control just exactly how much traffic comes from PPC to their landing page. For example, if an advertiser had a budget of £500 and their maximum CPC was £0.50, the advertiser will know that the minimum traffic they will gain from PPC will be 1,000 impressions (although it is very likely to over 1,000 as the advertiser won’t always be forced to their maximum CPC when bidding for advertising spaces). This will help with advertisers forecasting their campaigns into the future. Compare this again with banner advertising, when you buy an advertising unit from a website on the marketplace, you are told how much traffic the website gains but you are not told how much traffic you are likely to gain to your landing page. For all you know, the CTR for the website could be appalling or amazingly good. Either way, it is a risk when you buy an advertising unit in banner advertising. You cannot foreshadow how much traffic you are likely to get for your money since you do not know what the CTR is likely to be like. Ultimately, this makes clear that PPC is a much more effective, efficient and safer form of online advertising compared to PPC. You are more than welcome to try out banner advertising. However, you may find that your budget will not get you as far in banner advertising as it would do for you in pay per click advertising.